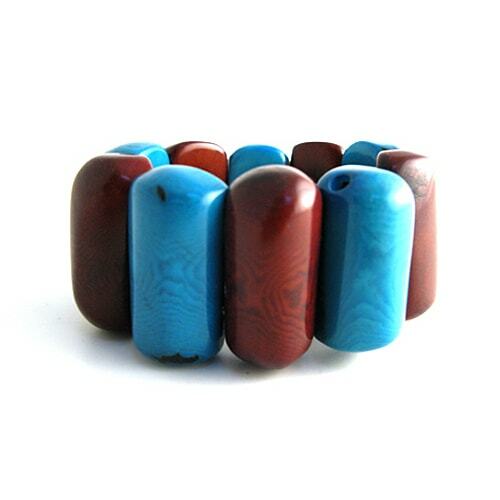 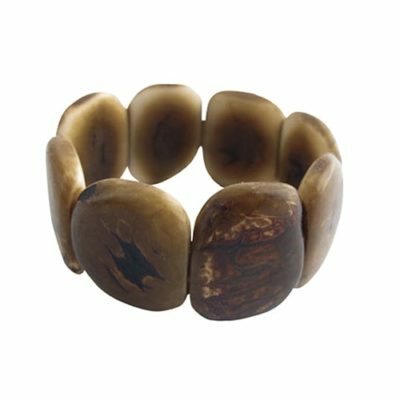 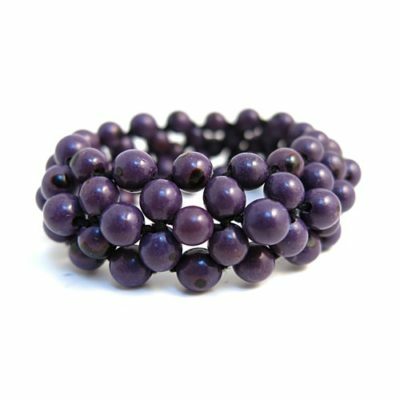 Close-fitting elasticated bracelet made from tubular shaped tagua nut pieces – 5cm diameter. 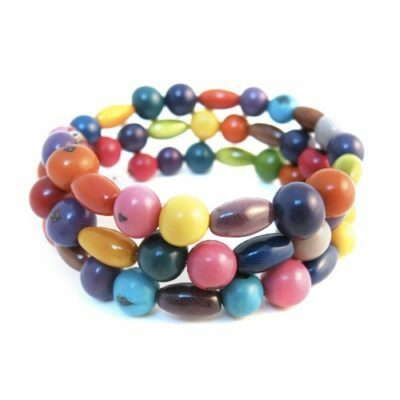 Available in bright or autumnal multi colours, as well as two-tone and single colours (incl. 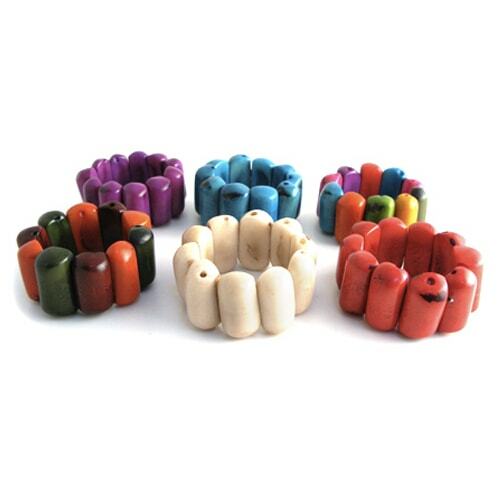 ivory, orange, turquoise, pink, purple, red, lime, green, yellow and brown).